The motion opens by saying that many of Crytek’s claims don’t hold water when you read through the game license agreement (GLA) CIG signed with Crytek back in November 2012, just after the Kickstarter campaign wrapped up. “The GLA eliminates virtually every claim and remedy Crytek seeks,” CIG and RSI’s lawyers write. “Crytek’s admission that Defendants are not even using Crytek’s software gets rid of the rest.” Appended to the motion to dismiss is a copy of the GLA, a document Crytek had left out of its filing in its original and amended complaints. (The lawyers don’t mention that whoever wrote up and checked the GLA failed to notice the game is called Star Citizen and not ‘Space Citizen’). 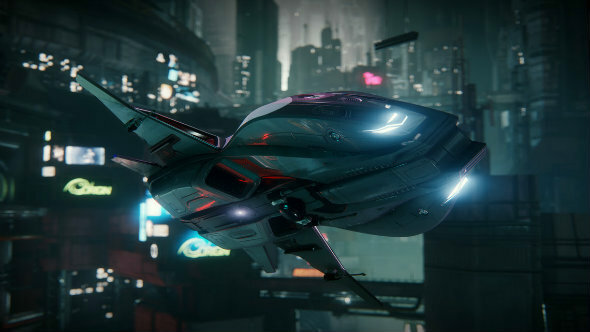 So, CIG and RSI’s lawyers are arguing that from the moment the GLA was signed, everyone involved understood that Squadron 42 fell under the umbrella of Star Citizen, and it wasn’t a separate game that breached the terms of the GLA. It gets complicated here, with Crytek claiming there has been a breach of contract while Squadron 42 and Star Citizen was being developed within CryEngine, and so under the terms of the GLA. We’ve contacted CIGs lawyers why a move to a different engine would absolve CIG and RSI of a prior breach. As a hint to some behind the scenes communication, CIG and RSI’s lawyers point out that between Crytek’s initial complaint and amended complaint Crytek’s lawyers have added “intentionally” before the words “breached the GLA”. They claim this is because they pointed out to Crytek’s lawyers that the GLA is pretty clear that neither party, Crytek or CIG, can seek damages against the other, except in instances of “intentional acts or omissions or gross negligent acts”. Finally, CIG and RSI’s motion to dismiss claims that Crytek’s complaints are derogatory to CIG co-founder Ortwin Freyermuth and CIG employee Carl Jones. 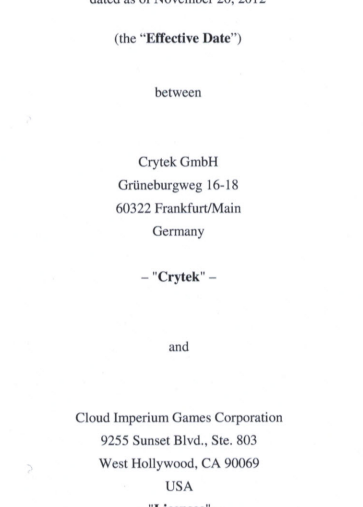 CIG and RSI’s lawyers say these allegations are “‘immaterial’ because they have ‘no essential or important relationship’ to Crytek’s claim for breach of the GLA or infringement of the Engine”; and, that the allegation that Freyermuth’s involvement in the negotiations was a conflict of interest is false because “Freyermuth had obtained a written conflict waiver from Crytek prior to negotiating the GLA on behalf of CIG.” Neither party has included this waiver, unfortunately. While this motion to dismiss responds to many of Crytek’s claims, it doesn’t address things like Crytek’s claim that Chris Roberts referred to the game engine as the “Star Engine”, a use of language that “publicly sought to minimize Crytek’s contribution to Star Citizen.” Nor does the motion respond to the claim that CIG were in breach of the GLA by revealing CryEngine source code in their series of bugsmashers videos. The next step in this trial will be to see if the judge accepts the motion to dismiss or if the complaint will go ahead. 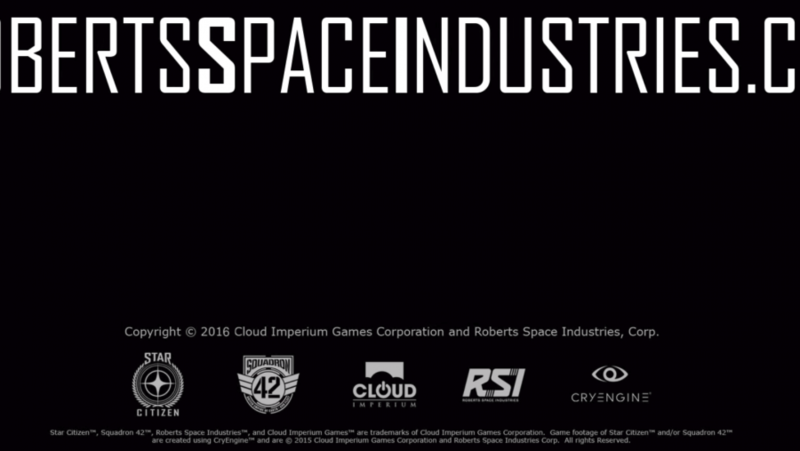 However, in a statement sent to us, CIG and RSI called the lawsuit “meritless”. 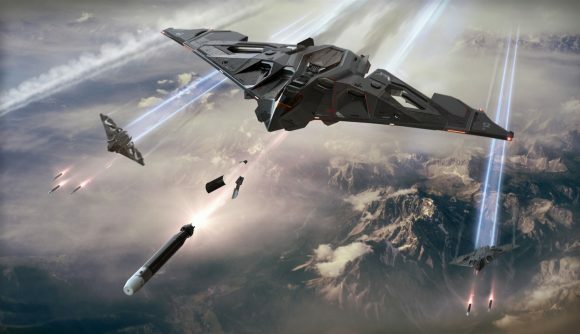 The complaint filed on Tuesday evening begins with a history of Crytek’s relationship with CIG and RSI, how they helped with Star Citizen’s Kickstarter campaign before entering into a Game License Agreement. It’s that agreement which Crytek claim CIG and RSI have breached. 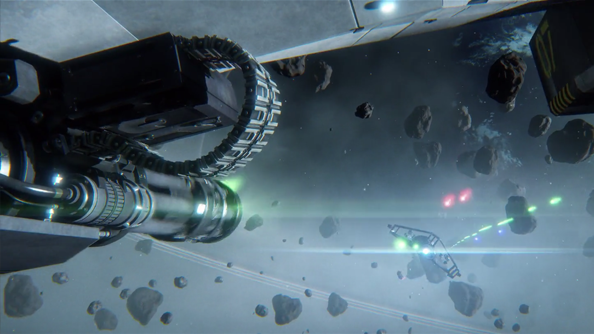 It opens in 2012, when Star Citizen’s developers were preparing for their Kickstarter campaign, Crytek helped them prepare promotional materials. Crytek’s complaint also points out that Carl Jones, who negotiated with Star Citizen’s developers on Crytek’s behalf, later became an employee of Cloud Imperium Games. Crytek make a number of claims against CIG and RSI in their court filing. The first is that the companies are making more than one game using CryEngine without permission. According to Crytek, the Game License Agreement that CIG and RSI signed only permits them to make a single game with Crytek’s technology, something they claim was made clear in the negotiations. 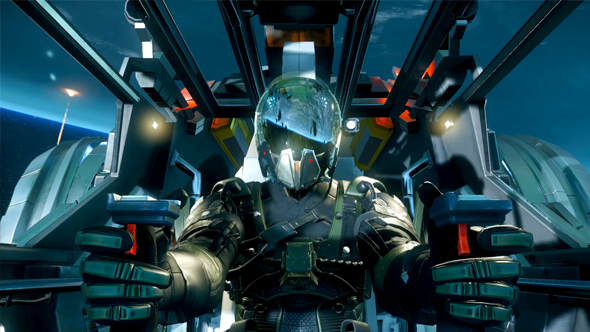 Yet, during a livestream on December 16, 2015, CIG announced that Squadron 42, the single-player campaign of Star Citizen, was going to be sold separately. And in January 2016, CIG “made a further public announcement about Squadron 42, stating that it would be made available for purchase as a standalone video game.” Which refers to this blog post. It includes the CryEngine trademark but not Crytek’s. The next year, Crytek say that they told CIG and RSI that they were in breach of the Game License Agreement. According to the document, CIG and RSI said they were ready and willing to comply but then did not. The final complaint in the document is that CIG and RSI revealed CryEngine technology to third parties without permission.